The Blackcaps are set to host the Bangladesh Tigers for the final ODI at University Oval, Dunedin. With the series in their kitty, the home side would be eyeing a clean sweep heading into the third ODI. This will be the last ODI before both the teams lock horns in white kits. The visitors would be hoping to end this series on a winning note to gain some momentum for the test series. Both the teams have a lot to play for, despite it being a dead rubber contest. The Kiwis sealed the series comfortably in the second game, thrashing Bangladesh by eight wickets. They won both the games comprehensively to take an unassailable lead of 2-0 in the three-match series. Having scored two consecutive centuries, Martin Guptill has been in sensational form in this series so far. He led both the chases from the front to take his side over the line. The bowlers have also been in good form for the hosts, especially Trent Boult and Lockie Ferguson. The ace duo has taken nine wickets between them in the series. On the other hand, Bangladesh have struggled in all three departments since arriving in New Zealand. The visitors have been outplayed by the Kiwis in both the ODIs. The Bangladeshi Tigers would be hoping to win the final game and end this series on a high. The experienced players must step-up for the visitors as they find themselves under the pump after successive defeats. Mohammad Mithun showed his temperament and technique to take his side to respectable totals in both the games. Kane Williamson has been rested for the third ODI and Tom Latham will lead the Kiwis in his absence. Colin Munro returns to the squad. The visitors make a couple of changes to strengthen their batting lineup. 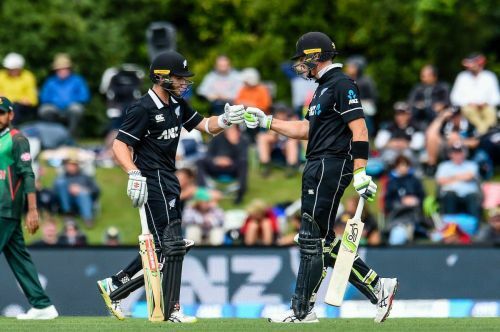 Tom Latham (c), Todd Astle, Trent Boult, Colin de Grandhomme, Lockie Ferguson, Martin Guptill, Matt Henry, Colin Munro, Jimmy Neesham, Henry Nicholls, Mitchell Santner, Tim Southee and Ross Taylor.